IV Vitamin Therapy is a vitamin and mineral therapy administered intravenously which allows the body to more effectively absorb and retain the benefits of the formula. The IV contains a combination of magnesium, calcium, vitamins B12, B6, B5 complex, and vitamin C. Administering the IV only takes 15-20 minutes and can be performed weekly, bi-weekly, monthly, or as needed. IV Vitamin Therapy can be used to assist in a variety of ailments such as asthma attacks, migraines, chronic fatigue, depression, fibromyalgia, upper respiratory tract infections, muscle spasms, chronic sinusitis, seasonal allergic rhinitis, and more. Call the office or email info@andrymedicalservices.com for more information about this service. HRV stands for Heart Rate Variability. The test studies your body’s response to physical, emotional, and environmental stress particularly on your autonomic nervous system. It provides a quick measurement for your general fitness and risk factors for sudden arrhythmia by measuring variations in your heart rate. Even those in pique physical fitness can have nervous systems that are over-stressed that can cause unforeseen health problems. The HRV test is non-invasive and takes about 15-20 minutes. A strap is placed around the chest that monitors your heart beat. The first half of the test is done while lying down and the second half while standing. At the conclusion of the test, a report is printed with your results for your provider to review. Everyone can benefit from having an HRV test, particularly those over 40 who wish to start an exercise regimen, those who feel overly stressed, or those who seem to be tired and sick all of the time. If you have cardiac problems, sleep disorders, hypertension, or are overweight, this test can be beneficial as well. Anyone who is curious about the effects of stress on their body is a good candidate for an HRV test. 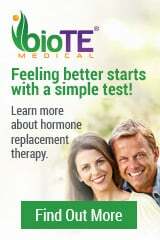 Call the office or email info@andrymedicalservices.com for more information about this test.